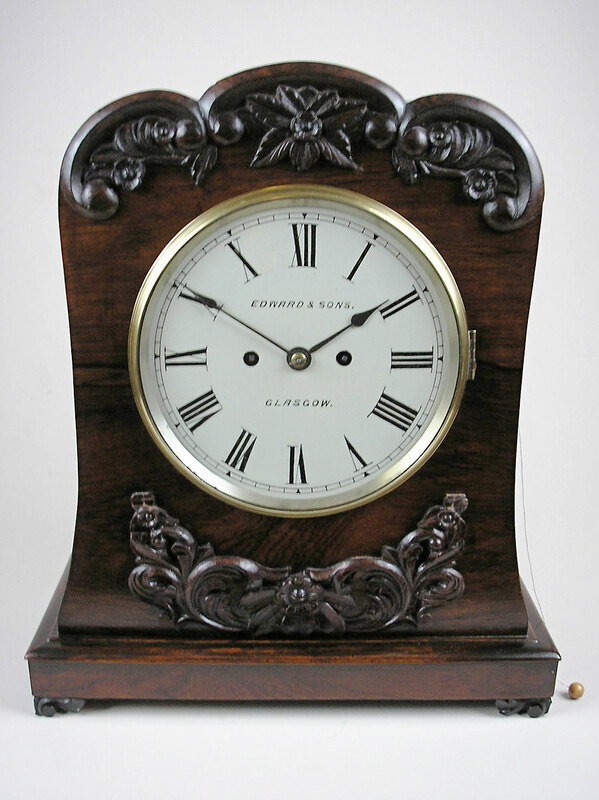 Mahogany cased, double fusee bracket clock by Edward and Sons, Glasgow. 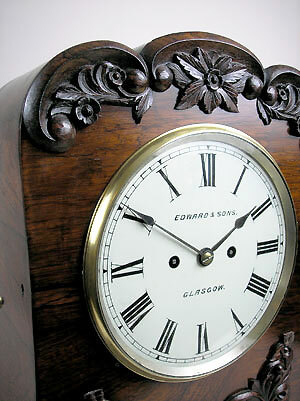 Has hourly strike on a bell and repeat. 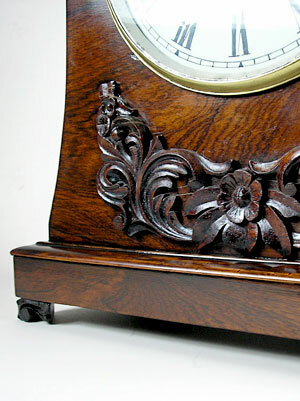 The movement has shouldered and footed plates, plus baluster pillars. 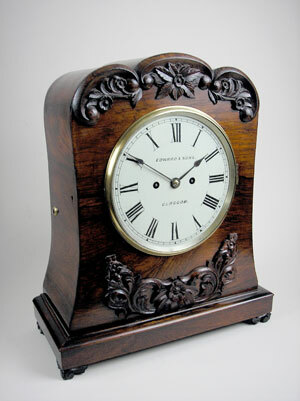 The case is applied with carvings to the base and top, and the clock stands on carved block-feet.